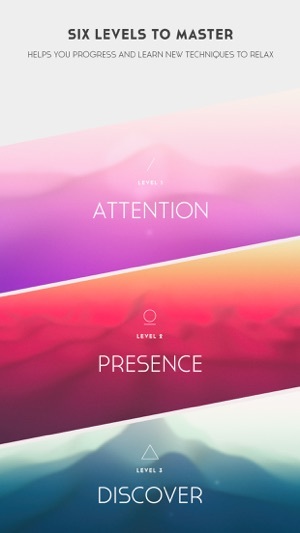 With six unique levels, you will learn new techniques to be mindful in everyday life situations and subtly practise mindfulness anytime and anywhere. 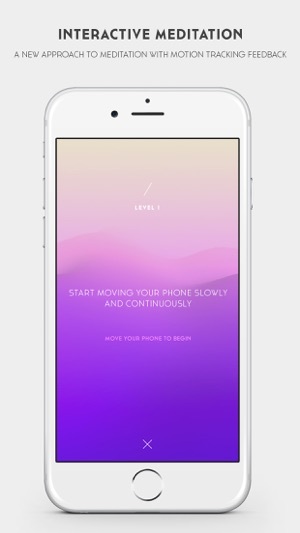 From simply moving your phone in your hand while sitting down or lying in bed, to gently swaying your body while waiting for the bus or even walking slowly around the office – Sway is designed to help you find focus in everyday life using ‘interactive meditation’. 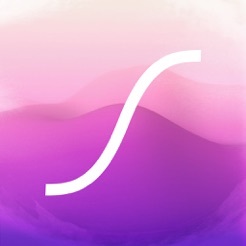 Relying on slow and continuous motion, Sway encourages you to find your own, most effective and subtle way to practise mindfulness in any given situation. Sway is best experienced with headphones. 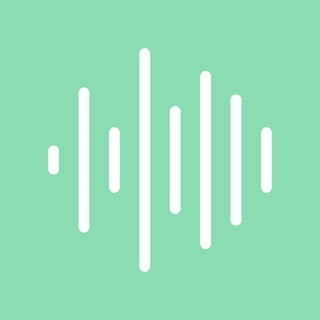 Sway is based on ‘interactive meditation’, a new approach to meditation which shows similar results to ‘guided meditation’ but is even more effective in noisy and busy environments. It’s scientific validation shows that engaging in interactive meditation daily may have long term benefits to your attention levels. 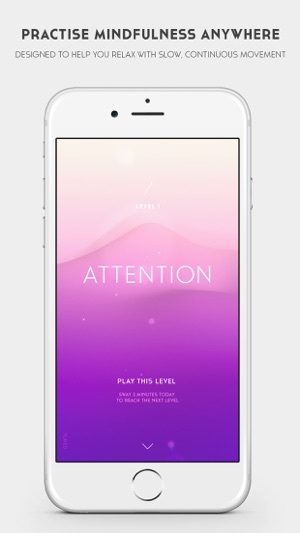 Sway is a collaboration between digital product studio ustwo and Danish mental wellness company PauseAble. 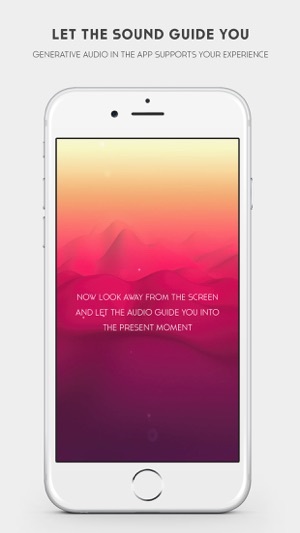 Using Sway now adds mindfulness minutes to Health App on iPhone iOS10+ devices. This is truly a great idea, and the sounds are wonderful, but there needs to be more of a correlation between your hand movements, and the display screen. The prompting telling you that you are moving to fast or to slow, and the subtle bar at the edge of the screen is not enough. Perhaps a soft glowing light at the center of the screen gently trailing off particles of light in the opposite direction of your movements would be nice. Otherwise you feel like you're just moving your phone around for no apparent reason, and a rock would suffice. I am using an iPad and not a phone, so I might be missing something. I really wanted to love this app. 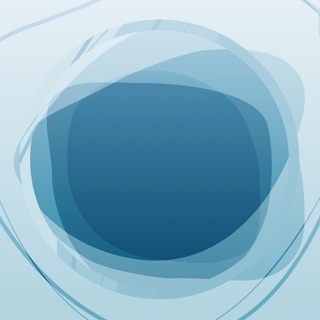 The idea of an app where you meditate through motion rather than following a guide is great and really excited me. 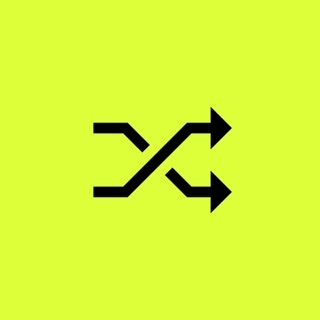 The audio and visual design are both fantastic. But, the app itself is nagging and ruins my meditation every time I attempt to use it. If you start going too fast or go too slow, it abruptly notifies you, bringing you out of your meditative state and forcing you to change your motion. This has condition me to feel constantly anxious rather than relaxed while using the app. 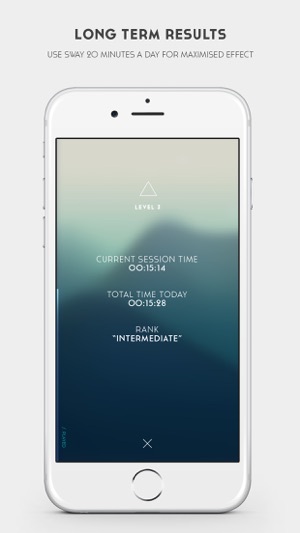 Their solution to get you to keep using the app is that you must achieve a prescribed amount of meditation minutes daily or you lose a level. Decent motivation, but also figures in to the over-all anxiety inducing nature of the app. I hope they allow options in the future to accommodate people who want to move more freely during their practice. Until then, I'll stick to regular meditation and other movement practices. App is useful, you finish one level, you move on to the next, making mind training a kind of challenge. However, there are no real settings, the App writes Mindfulness data to Healthkit, but doesn't read it back, a shockingly common problem with Apps in this category, even the most popular ones. No way to contact the developer via the App, presumably this is possible via the developer page. Hopefully some of this will be addressed in a coming update.